This recipe would be a big hit in our house. I bet both of the chicken recipes are great. Ooh, I love empanadas. I’ve never made them, but these look great! My daughter and I love empanadas but I have yet to make them. This recipe looks like a good one to try. PS- I host a recipe swap every Wednesday and I’d love to have you if you get a chance. Could you use crescent rolls for this? I think you could use crescent rolls. Let me know how they turn out if you try them. Thanks! This is a terrrific dish to serve groups of people you want to impress! This looks like a great party dish! 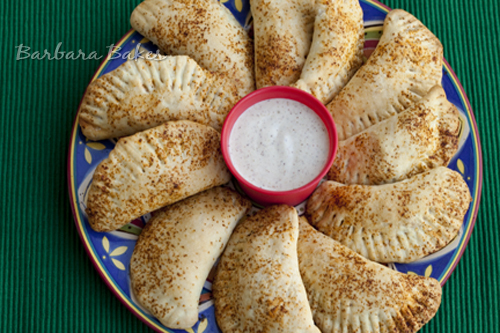 Now you have me craving empanadas…yum! I always forget about making these at home. Your look and sound great! I can attest that these are amazing. I made Dana’s empanadas a few months ago and fell in love. That sauce is out of this world. Mmm! I love me some empanadas. I haven’t made them in ages. Thanks for the reminder – I think I’ll do half your chicken recipe and half Dana’s! Those look beyond tasty. I’ve got to speak to my baker (I cook, she bakes) about that dough. I really, really want to empanadas! 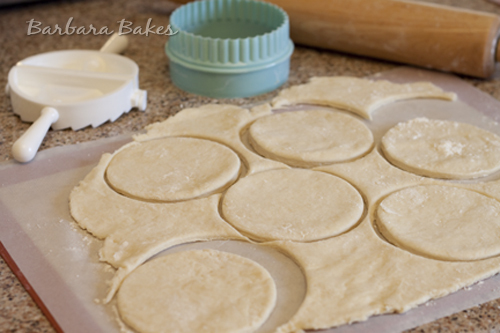 When I first saw this recipe at Dana’s blog, I immediately bookmarked it as a must-try. So glad you decided to give these empanadas a go, your filling sounds scrumptious too! Favolose queste empanadas di pollo. Pensa che possiedo anch’io l’attrezzo che hai utilizzato per realizzarle, non vedo l’ora di provare la ricetta. Un abbraccio, buona settimana Daniela. 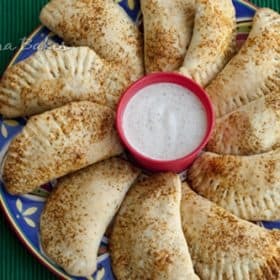 I am going to have to try empanadas; I’ve never made them before! They look so yummy. Lovely. I enjoy empanadas. I made some mini beef ones for my baby recently.